Quantities of 25 are shipped in Royal Canadian Mint tubes. All other coins will be shipped in protective vinyl flips. 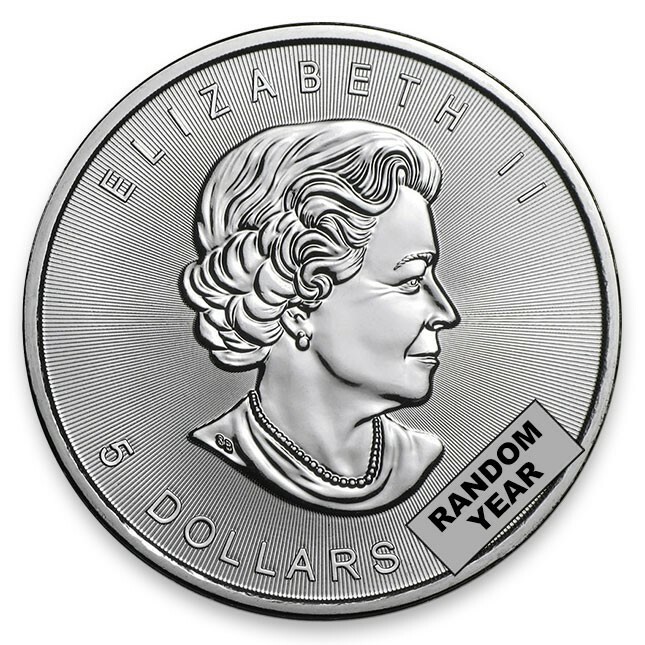 Obverse features a portrait of Queen Elizabeth along with the coin’s date and face value. The reverse depicts a maple leaf with the coin’s country of origin and fineness. 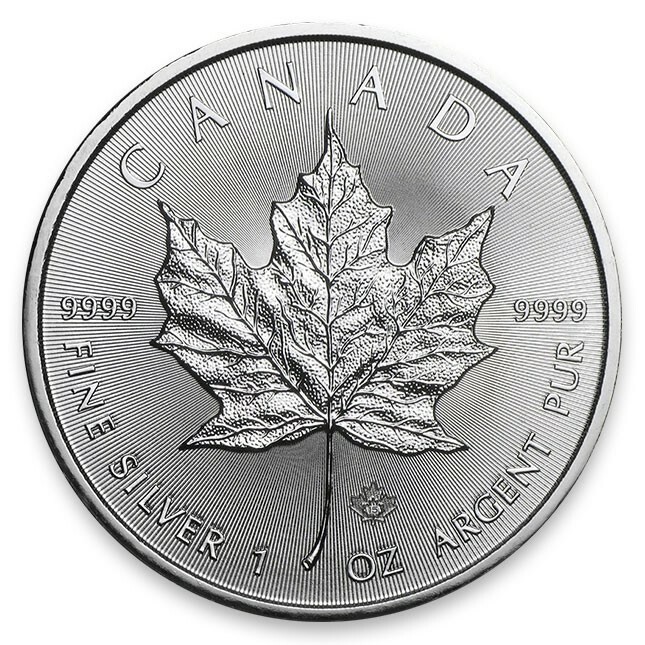 Best Prices on Canada 1 Oz Silver Maple Leafs!